Showing search results for Teenage Young Friendship Quotes, Quotations & Sayings 2019. A smile makes us look younger, while prayers make us feel stronger. And friends?They make us enjoy life forever. 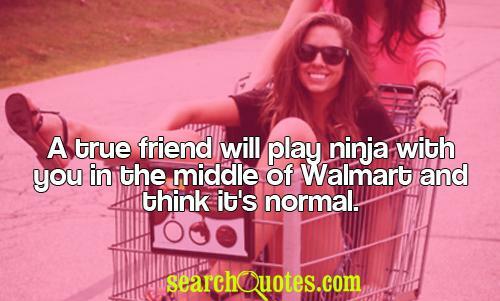 A true friend will play ninja with you in the middle of Walmart and think it's normal. Enjoy the teen years while you can because there will never again be a time in your life when a simple kiss means so much or where an A+ means everything. Once we grow up that all goes away so enjoy being young and free while you can!